Google around for information on the 5×5 workout, and you’ll find plenty of different opinions about whether or not it’s a good way to put on muscle mass. Some say that 5×5 is mainly for strength, and that you need higher reps in the 6-12 range to build size. Others say that if you’re on a 5×5 routine, gaining strength and eating enough, then mass gains are sure to follow. Who’s right? Is the 5×5 workout a good way to put on muscle mass? Or should you be using higher reps and lighter weights? What is the 5×5 Workout? The 5×5 workout is very simple: five sets of five reps for no more than a handful of compound movements, three times per week. Although there are numerous variations of the program, one of the most popular is StrongLifts 5×5. With the StrongLifts 5×5 workout, you perform just five compound exercises each week: the deadlift, squat, bench press, overhead press, and barbell row. There are two different workouts alternated throughout the week. In workout A, you do the squat, bench press, and barbell row. The lifts in workout B are the squat, overhead press, and deadlift. For each exercise, you do 5 sets of 5 reps. The exception is the deadlift, which you do for 1 set of 5 reps. You take a day of rest between each training day. If you’re able to do five reps on each set, you add weight to the exercise – usually around 2.5 kilograms, or 5 pounds – in the next workout. Your goal is to keep on adding weight to each exercise for as long as you can. Here are some videos of Mehdi, the guy behind StrongLifts, doing both workouts. The 5×5 workout is one of the most popular programs out there for building strength. It’s very simple to follow and requires little in the way of equipment. 5×5 has also stood the test of time. Although guys like Bill Starr and Reg Park seem to get much of the credit for coming up with the idea, Mark Berry (who was a champion weightlifter) was writing about it back in the 1930s. Everything is laid out for you, so there’s very little to think about. You just go to the gym three times a week, stick to the plan, and focus on training as hard as possible. But, is 5×5 a good way to put on muscle mass? Read on, and I’ll cover the pros and cons of the 5×5 workout, show you what the science has to say on the subject, as well as explaining why – contrary to popular belief – Arnold Schwarzenegger probably didn’t use a 5×5 program when he was a beginner. On the training frequency side of things, Stronglifts 5×5 is a bit of a mixed bag. Squats are done three times a week. But the bench press, overhead press, row and deadlift are performed three times every two weeks. In other words, you’re hitting the legs three times a week. But the chest, back and shoulders are worked directly only 1.5 times a week. While a lot of bodybuilders like to train each muscle group once a week, there’s a growing body of research to show that more frequent training will help you put on muscle more quickly. In fact, working a muscle more frequently has been shown in several studies to increase the speed at which that muscle grows. In one trial, subjects using a full-body routine, where each muscle is trained three times a week, grew faster than subjects on a split routine, where each muscle is trained once a week . And this isn’t a lone piece of research that contradicts a sea of existing data on the subject. In fact, most research out there shows that the major muscles should be trained at least twice a week in order to maximize growth . On the Stronglifts 5×5 program, training frequency for the quads is fine. But for everything else, the upper body in particular, it’s less than ideal. One argument that goes back and forth in the fitness industry centers on the number of sets you need to do for each muscle group. Some say that one set to failure is the fastest, most effective way to put on muscle. Anything more is overtraining, and you might as well just not bother. However, most research shows there is a “dose-response” relationship between the number of sets you do for a muscle and the speed at which that muscle grows . In other words, the more sets you do – up to a point at least – the faster your muscles will grow. A typical 5×5 program includes 15 work sets per week for the legs (17 if you include deadlifts), which certainly ticks the “sufficient volume for muscle growth” box (it may actually be too much for some people). However, the weekly training volume for the chest, back and shoulders averages just 7.5 sets per week. Which doesn’t make a whole lot of sense. If you just want bigger legs, it’s fine. But if you want a bigger upper body, chances are you’re leaving gains on the table. Some say that the 5×5 workout is mainly for strength, and that you need to do higher reps in the 6-12 range if you want to put on muscle. However, lower reps and heavier weights are a perfectly good way to gain muscle mass. In some cases, they’ve been shown to work just as well as higher reps and lighter weights. A good example comes from a University of Central Florida study, where researchers put a group of 33 resistance-trained men through eight weeks of strength training . Group one did four sets of 10-12 reps. They also took around 60 seconds of rest between each set. Group two did the same exercises. They also did the same number of sets. But, they used a much heavier weight that limited them to 3-5 reps, taking around 3 minutes of rest between sets. None of the differences in body composition between the groups were statistically different. However, the researchers did find a clear trend towards greater gains in the group lifting heavier weights. In other words, the men training in the 3-5 rep range were the ones that put on the most muscle. This doesn’t mean you should drop everything and immediately start doing sets of 3-5 reps all the time. One study is never the be-all-end-all when it comes to deciding how to train, and this is far from being the last word on rep ranges and muscle growth. However, the findings do show that heavy weights and lower reps in the 3-5 range can be used to put on muscle. There are lots of good things to be said about sets of five. For one, you’re using a weight that’s around 85% of your maximum. That’s heavy enough to recruit large numbers of muscle fibers. Compared to higher reps, fatigue is minimal, so exercise technique is less likely to go down the pan. And, you still get enough volume to stimulate growth. However, there’s some interesting research out there to show that varying the number of reps you do can speed up your rate of muscle growth. Statistically speaking, there was no significant difference in the rate of muscle growth between the two groups. But the effect size (which refers to the size of the difference between groups) did favor the varied protocol. The differences between the groups weren’t dramatic – a centimeter or so here and a few millimeters there. But, this study lasted just eight weeks. Over months and years, those small differences will add up. Researchers have also found that the addition of a back-off set to a program that involved 5 sets of 3-5 reps led to faster gains in muscle size and strength . One group of subjects performed two leg exercises for 5 sets of 3-5 repetitions. A second group did the same thing, but added a back-off set (25-35 repetitions with a lighter weight) 30 seconds later. Over the course of four weeks, the guys using the back-off set gained more muscle mass and got stronger faster than subjects doing only 5 sets of 3-5 reps. This kind of “combination training” is nothing new. In fact, it was very popular with some of the top bodybuilders in the 1950’s, such as Bill Pearl and Reg Park. In his book The Wild Physique, Vince Gironda points out that Pearl and Park used to mix up their training, using both heavy and light weights. “I remember studying Reg Park’s physique when he was power training,” writes Gironda. According to Gironda, both Pearl and Park would perform 3-4 sets with a heavy weight and low reps, and then finish off with 2-3 sets of higher reps with a lighter weight. If you want to put on muscle as fast as possible, it’s my view that a variety of rep ranges and weights works better than doing 5 sets of 5 all the time. Most 5×5 workouts involve a handful of compound exercises, such as the squat, deadlift, bench press and so on. These exercises do work large numbers of muscles, making them a very efficient use of your training time, and I like them a lot. However, maximizing the development of a muscle requires the use of several exercises, rather than just one. This ensures that all available fibers in a given muscle get a piece of the action, leading to more complete development of a muscle group. There was a study published in the Journal of Strength and Conditioning Research that compared a knee-dominant exercise (the lying leg curl) with a hip-dominant exercise (the stiff-legged deadlift) . The lying leg curl led to greater muscle activation in certain parts of the hamstrings – the lower lateral and lower medial hamstrings in particular – compared to the stiff-legged deadlift. “Activation of the upper hamstrings was similar between exercises. Interestingly, however, activation of the lower hamstrings, both medially and laterally, was significantly greater in the lying leg curl. What’s more, a training program that involved several exercises for the quads – the leg press, squat and lunge – led to muscle growth in all heads of the quadriceps, while a squat-only program did not . You can’t completely isolate one area of a muscle relative to another. 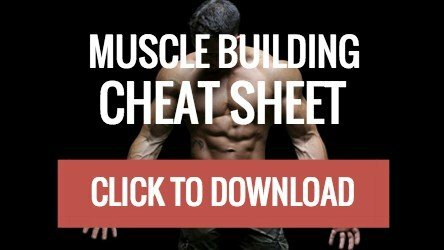 And the potential shape and size of each muscle is determined ultimately by the genetic blueprint you were handed at birth. However, you can make the most of that potential by using different exercises to emphasize different sections of a muscle. Although Mark Berry was using something resembling a 5×5 workout in the 1930’s, Bill Starr – author of the 1976 book The Strongest Shall Survive: Strength Training for Football – seems to get much of the credit for coming up with the idea. As the title of Starr’s book suggests, the 5×5 workout was designed mainly for building strength. It’s true that size and strength are linked. But that doesn’t mean there’s a perfectly linear relationship between gains in strength and gains in size. If you double your strength in every exercise, you’re not going to double your muscle mass. Over the years, I’ve seen plenty of guys who can lift a lot of weight, but they’re not particularly muscular. Getting very strong in the various compound lifts isn’t “the key” to building bigger muscles as is often claimed. I should also point out that there’s nothing “magical” about 5 sets of 5 repetitions (as opposed to, say, 4 sets of 6 repetitions or 6 sets of 4 repetitions). This, for the most part at least, is a myth. Exercises like squats and deadlifts do lead to a small temporary increase in testosterone and growth hormone. But the size and duration of this increase isn’t sufficient to have much of an impact on muscle growth. The fact that a given workout increases levels of various anabolic hormones doesn’t automatically make it a good way to put on muscle. Guys with the largest testosterone response after training would put on the most muscle. And those with the smallest response would build the least muscle. Other studies report similar findings, noting that gains in strength and size “did not appear to be influenced” by the short-term hormonal response to exercise [9, 10]. Did Arnold Use a 5×5 Workout? One of the selling points of the 5×5 workout is that Arnold Schwarzenegger used it when he was starting out. Some claim that it’s “well documented that Arnold Schwarzenegger built his foundation” using a routine that’s “almost identical” to Starting Strength (another very popular 5×5 workout). It is indeed well documented that the Austrian Oak used a routine that’s almost identical to Starting Strength. But only if your definition of “well documented” includes somebody saying so on the Internet. If Arnold did use a 5×5 workout, or recommends it to beginners, he doesn’t mention it in his Encyclopedia of Modern Bodybuilding or Arnold: Education of a Bodybuilder, both of which I’ve read from cover to cover. Arnold didn’t write the books himself, but had help from his ghostwriter Bill Dobbins. However, I’m going to assume that he gave the thumbs up to everything that was in there, and that the contents are an accurate reflection of his views at the time the books were written. First, nowhere in either book does he lay out – exercise by exercise, set by set and rep by rep – exactly what program he used when he first started training. What’s more, if he believed that the 5×5 workout was such a good way to put on muscle, you’d expect him to recommend it to everyone who sets foot in the gym for the first time. In Arnold: Education of a Bodybuilder, he says that beginners should start out with a bodyweight program consisting of high-rep sets of squats, push-ups, chins, rows, sit-ups, bent-leg raises, bent-over twists and calf raises. “You should lay a foundation by stimulating the muscles, tuning the whole body in to resistance training using your own body weight,” he writes. “The first task facing the beginning bodybuilder is to build up a solid foundation of muscle mass – genuine muscular weight, not bulky fat. Later, you will try to shape this muscle into a balanced, quality physique. In other words, Schwarzenegger says that anyone wanting to put on muscle should do a lot more than the small number of compound lifts found in most 5×5 programs. On a Reddit Ask Me Anything, Schwarzenegger was asked his opinion of the 5×5 workout. There is no evidence to be found in Arnold’s Encyclopedia of Modern Bodybuilding or Arnold: Education of a Bodybuilder that he ever used a 5×5 routine, or that he recommends the program to beginners. In fact, not one of the beginner exercise programs in either book involves doing ANY exercise for 5 sets of 5 reps. If you’re a beginner who wants to get strong, build some muscle and learn the basic exercises, the 5×5 program is a decent place to start. It’s relatively simple to follow, and requires little in the way of equipment. What’s more, when you use the Stronglifts 5×5 app, much of the “thinking” is done for you. This makes the program very simple to use, which is great if you’ve never touched a barbell in your life. However, the 5×5 workout does have its weaknesses, most notably the large difference in weekly training volume between the upper and lower body, the limited menu of exercises, along with the fixed number of reps per set. If building bigger muscles is your main goal, there are better options out there.